When it comes to the fashionable and functional, contact wearers like cases with mirrors. 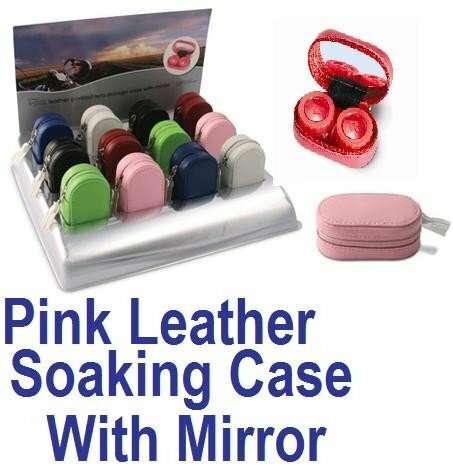 The baby pink leather soaking case with mirror is not only convenient that way but is also fashionable with the leather outside skin. These will protect your customer’s contacts while still looking pink and pretty, two things women especially love.